This entry was posted on Wednesday, January 2nd, 2013 by Frances Ryan. I failed ever-so-slightly in my 2012 Race a Month Challenge, but I enjoyed it so much that I’m challenging myself to the same feat for 2013. It’s not really my resolution for the year—which is to continue hoping for good things—it’s more of a lifestyle choice. And because it’s meant to be a bit of a challenge, I will try to increase the number of marathons or half marathons I participate in. As it stands today, my first intended race will be the Buchlyvie 10K in Buchlyvie, Scotland. It was my first race of 2012, and I am desperately hoping it goes better this year! Of course, as my race partner (and race transportation provider) has moved to Wales, figuring out how to get there will be half the challenge! I am also thinking about doing the Alloa Half Marathon in March and the Edinburgh (full) Marathon in May—if I can wrangle an entry, as they’re already sold out. 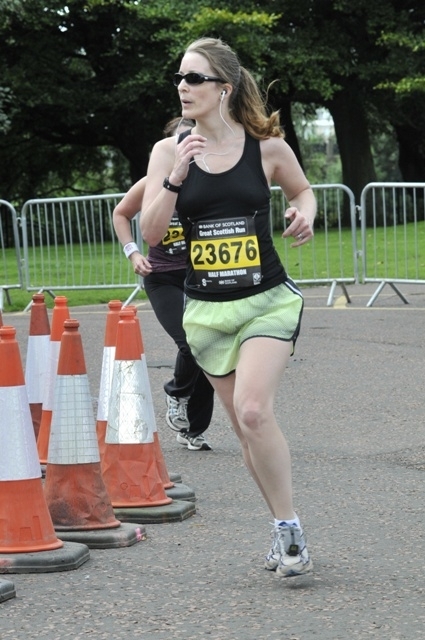 And, of course, I’m thinking about running the Loch Ness Marathon again. Oh! I’m even going to attempt at more—and better—training this year. Oh yes, I am! If anyone is a runner and wishes to join me at a race—or if you’re not a runner but want to come cheer me on—please do get in touch. Running is, after all, a very social sport for being such a solitary one.